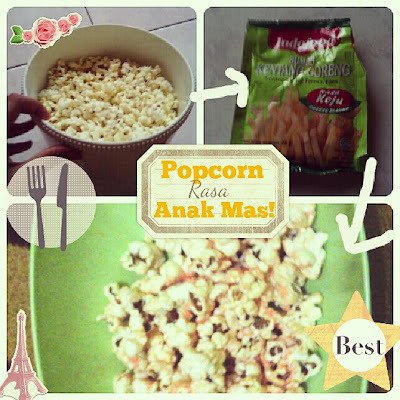 Popcorn Rasa Anak Mas! - Life's Never Boring Beibi! Well, today I won't continue my journey story. I'll do that the day after tomorrow, because I want to share my invention. Haha. It's popcorn with a taste like Anak Mas, the legendary snack in Indonesia.